Here’s my guide to using the English version of eBay in Finland with Euros, and local equivalent buyer/seller marketplaces and sites. Enjoy! 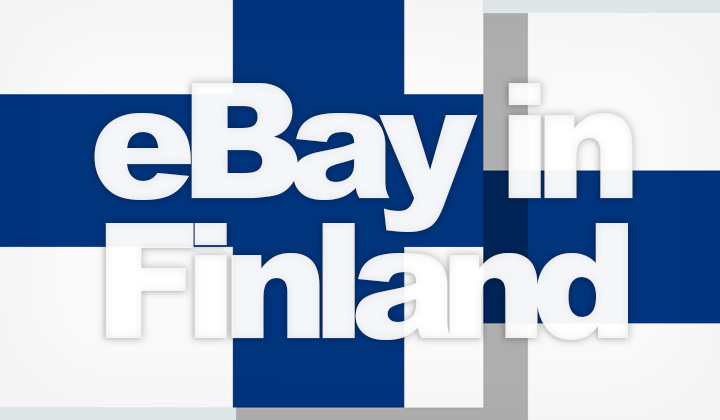 There are no equivalent sites in Finland that match the features of eBay for buyers, and sellers such as binding deals, buyer protection, English language, etc. Also as most Finnish people are more than comfortable with shopping in English, eBay is easily one of the most popular marketplaces in the country. While you can find Finnish sellers or reach buyers in Finland, it’s also commonplace to order within the import duty-free jurisdiction of the European Union and Asian markets. Step 3. Scroll down to where it says “Location”. Step 4. Choose Finland in the “Located in” drop-down menu. As eBay sellers in Finland are limited, browsing through items located within Europe is a great way to get a more extensive range and competitive pricing. Shipping is relatively fast and affordable, as well as there’s no taxation with import duties. Step 3. See the section on the left side, where it says “Item Location”. There you can quickly narrow down your search to Europe or region of your choice. Step 4. Future searches will also show up Europe sellers only. The international version of eBay has a feature where all pricing is optionally converted to the users local currency. This means, that if you are located within a country that has Euro as it’s official currency, such as Finland, prices are automatically converted to that currency using a live exchange rate. To change back to the currency of the seller, such as USD, look for the “View” options when doing a search. And unselect the tick-box “Covert prices to EUR”. Needless to say, there are more Finnish buyers than sellers on eBay. Therefore it’s undoudedly one of the best and most modern ways to sell new or used items to a Finnish audience. All with an easy English language interface. With the help of the Global Shipping Program from eBay international shipping is supported to Finland from anywhere in the world. But is there eBay in Finland that is equivalent to eBay.com? While the answer is a definite no, there are two websites (introduced below) that are similar and while not as convenient or large in size, still very popular in the country. Most popular seller/buyer portal for individuals to trade used or new items within Finland. Going by the slogan “Buy & sell, auctioned or now”, Huuto.net was launched in 1999 and is owned by Ilta-Sanomat Oy, the prominent tabloid newspaper in the country. While it’s the most feature rich platform available, functions are limited and sales are non-binding. Negotiating delivery and payment is done in private, like a more traditional classified ads site. There is no charge for listing items. The site is in Finnish only, however skilled foreigners living in the country are known to use it. Especially as most sellers speak perfectly good English. Previously popular “Keltainen Pörssi” classified ads site in Finland at keltainenporssi.fi has been redirecting it’s users to Huuto.net since 2016. Tori — Osta ja myy helposti. Ilmoita ilmaiseksi Torissa. Very basic, but nation-wide classified ads site for individuals selling and buying used items. Tori.fi was opened in 2009 and can be used free of charge. Listings are divided by the 19 regions (maakunta) in Finland. Convenient for buying used cars, furniture and larger items from nearby locations. There is no support for English and the site facilitates ads and a way for sellers and buyers to communicate between each other. The company takes no liability over any deals made through their website. These two are the only sites somewhat similar to eBay in Finland. I’m happy to answer questions about shopping to/from Finland. Suggestions on other equivalents and English language tips welcome! Note. The registered TLD at eBay.fi is simply a redirection to the recommended, international English language eBay.com version of the marketplace! These sites like, equivalent to, etc. posts on Elftronix contain affiliate links when appropriate. This is to benefit both content quality and the author. It’s fun to put these posts together, but also a lot of work. Your support is greatness, thank you!